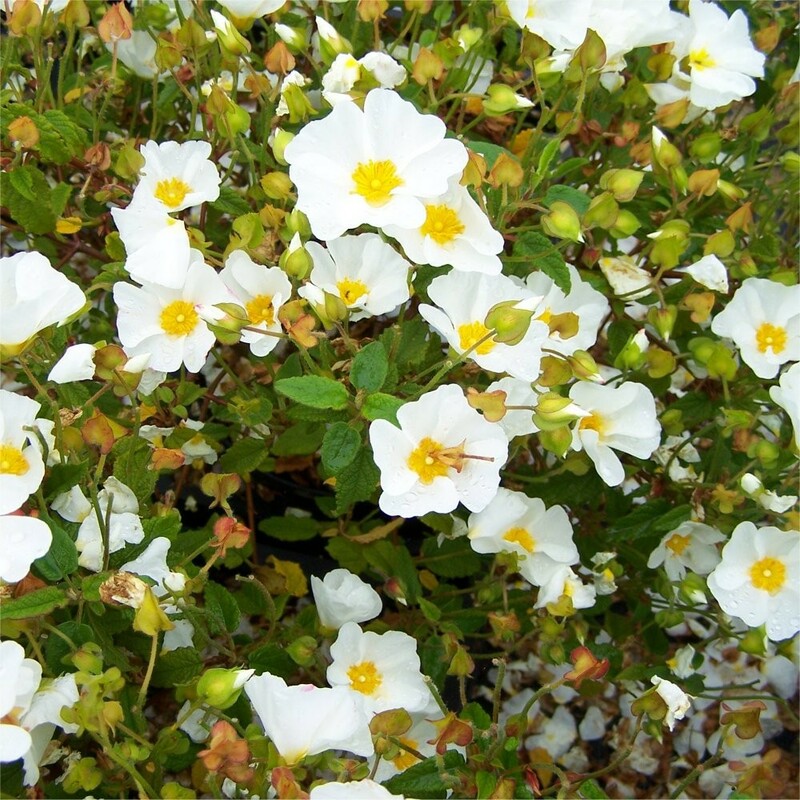 This hardy low growing shrub is suited to sunny dry borders. Vivid white blossoms are borne through out the summer, complimenting attractive gray-green foliage and a spreading habit. 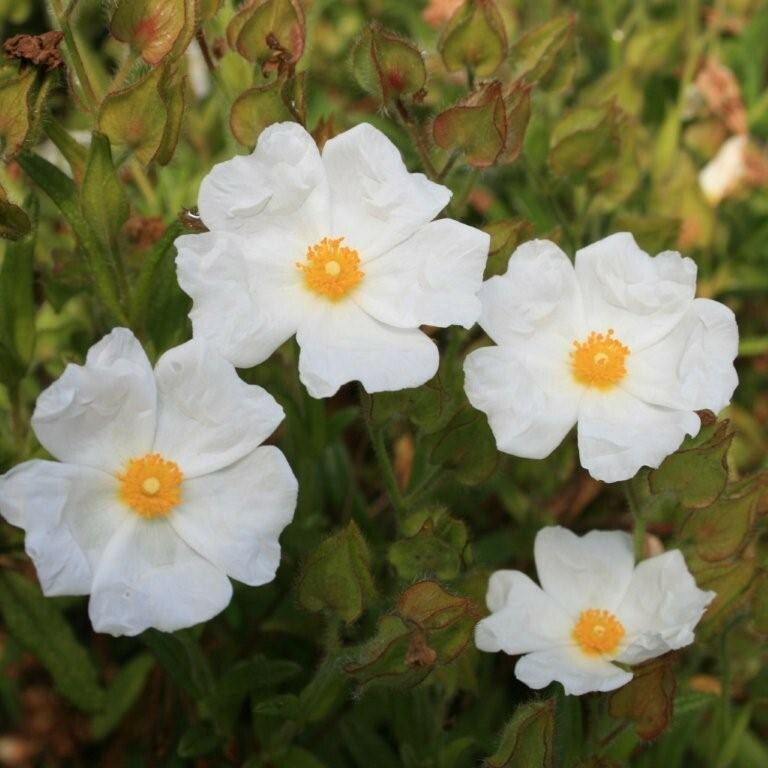 Growing around 100cms wide x 80cms tall, no other flowering shrub will tolerate such tough dry conditions yet continue to produce blossom for so long and with such impact, it will flourish on poor well drained soils, especially chalky soils. Ideal planted alone or in drifts on hot sunny bank. Supplied in approx 2 litre containers.